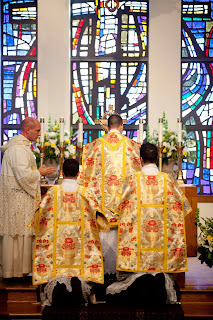 Recently, Fr. David Michael Spencer of the Mercederians was ordained to the Order of the priesthood at his home parish. 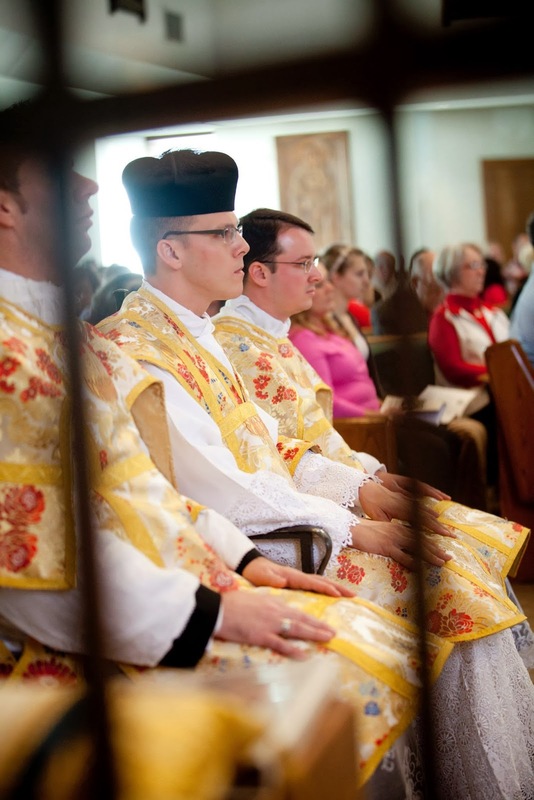 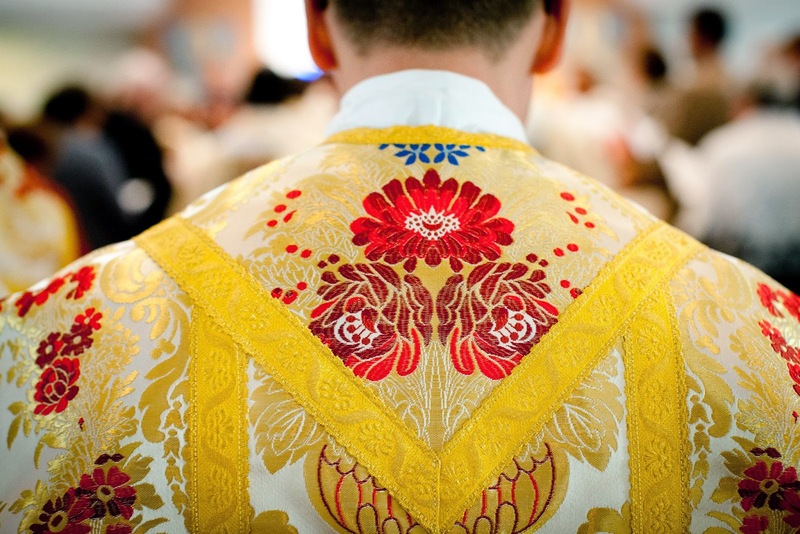 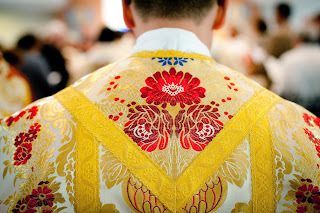 Both Masses were celebrated ad orientem, and Father Spencer's set of vestments that he wore during the Mass of Thankgiving were commissioned for the occasion. 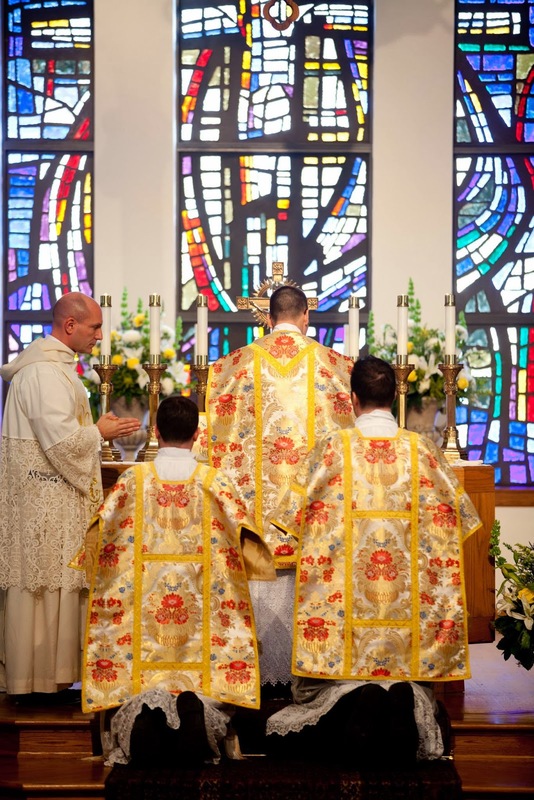 At both Masses, the gregorian propers were sung, and also, at the Mass of Thanksgiving, the Roman Canon was chanted in latin. 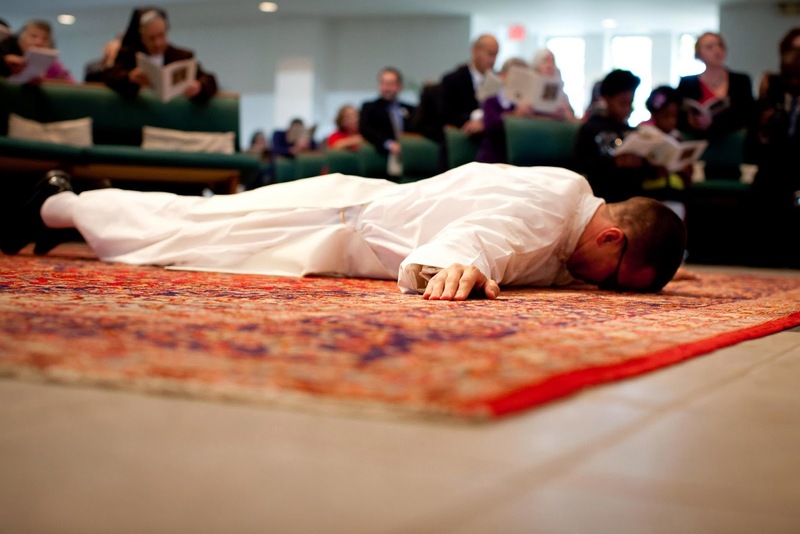 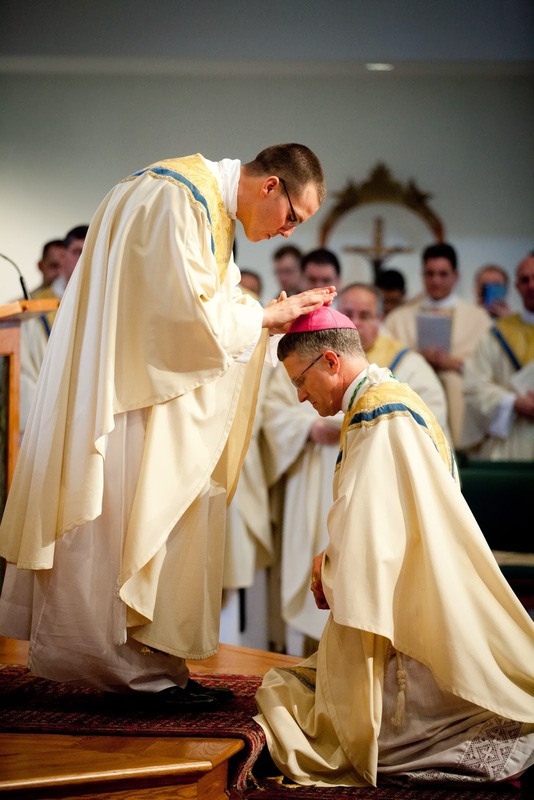 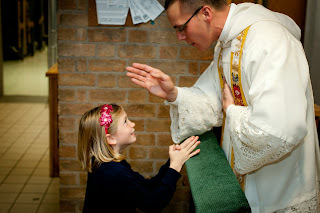 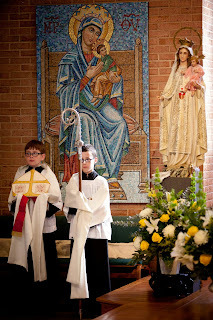 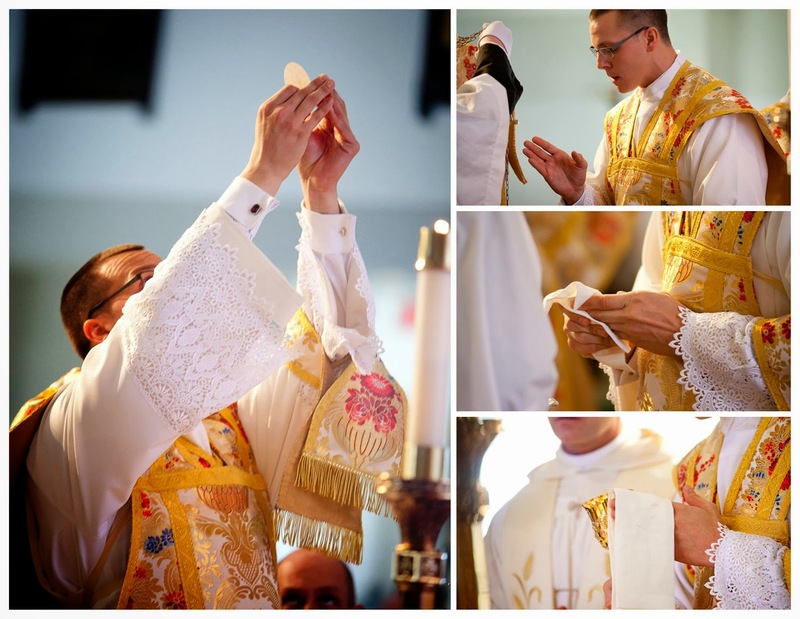 Below, we have a selection of the photos from the Ordination and Mass of Thanksgiving. 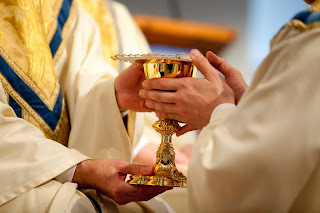 The chalice, chalice veil, and pall. 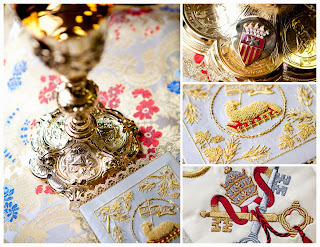 Beauty at it's finest!